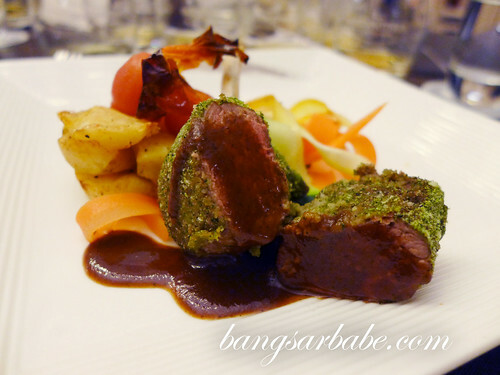 Wine pairings are quite a norm, but I’ve taken a liking to beer and whisky pairing dinners of late. 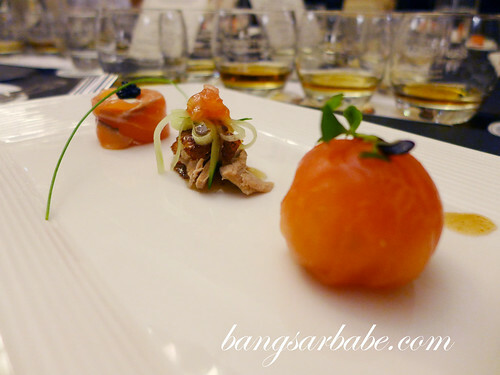 My most recent whisky pairing was courtesy of Asiaeuro Wines & Spirits, where I enjoyed The Glenrothes with a 5-course dinner. 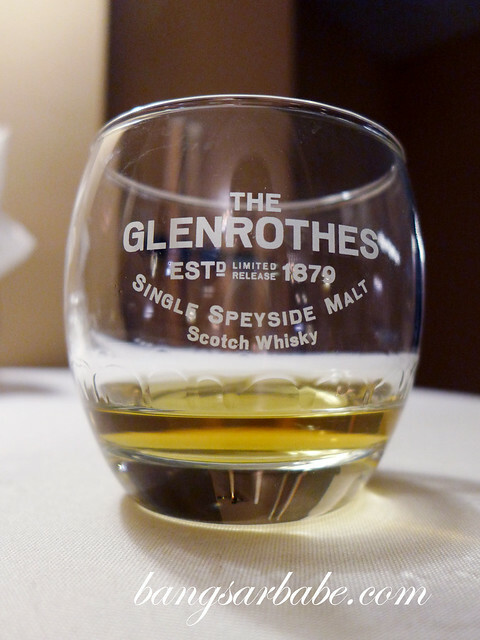 The Glenrothes is a Single Malt Whisky from Scotland, known for its Class-A quality enhancer for premium blends. 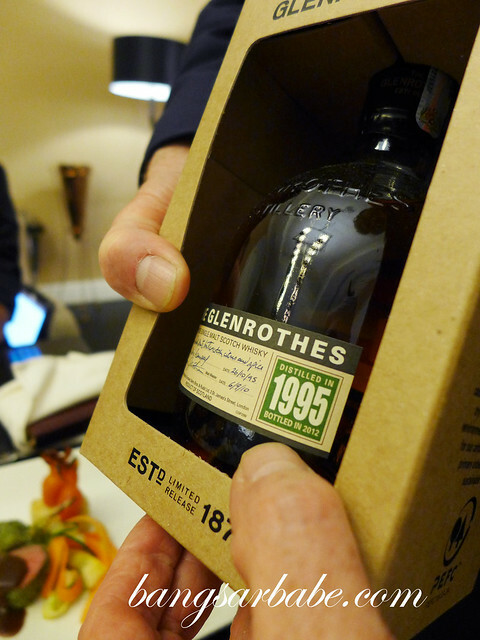 To ensure exceptional quality, only 3% of the distillery capacity is bottled – since 1994, The Glenrothes has released less than one single cask a year. 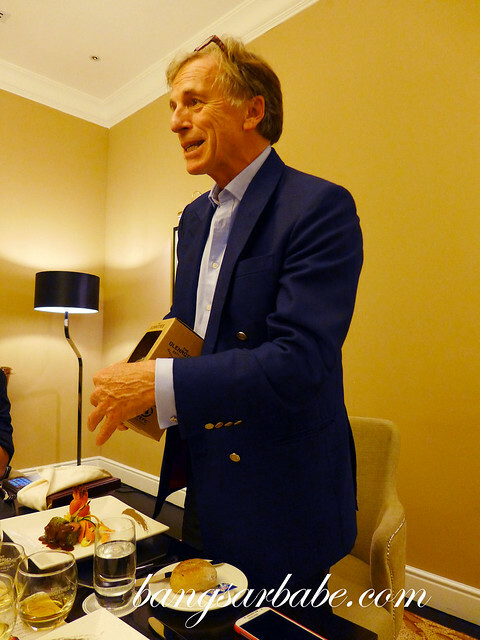 Together with a small group of media, I dined with Ronnie Cox, brand ambassador of The Glenrothes while he took us through the history of this award-winning whisky. 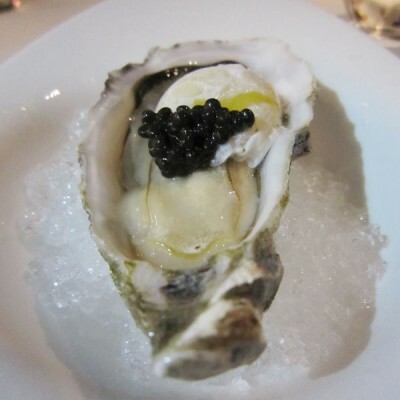 We had The Glenrothes 2001 to start, with an appetizer of Gin Oyster. Ronnie got us to dab a little bit of whisky on our hand, let the water and alcohol evaporate, and then, nose the scent that was left behind. The scent was a lot more intense this way and we repeated this process with the other three whiskies for the rest of the night. 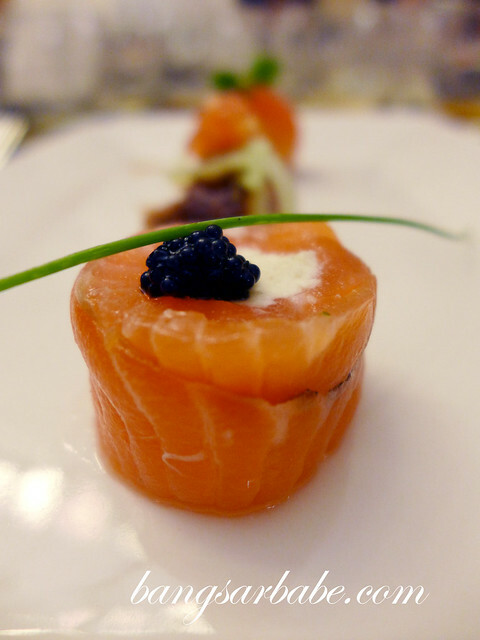 Our second whisky was The Glenrothes 1998, paired with the Majestic Assiette – a trio of queen crab salad, peking duck and smoked salmon roulade. This whisky had a stronger vanilla flavour and softer palate. Not so great with the crab salad, but it paired well with the duck and salmon. 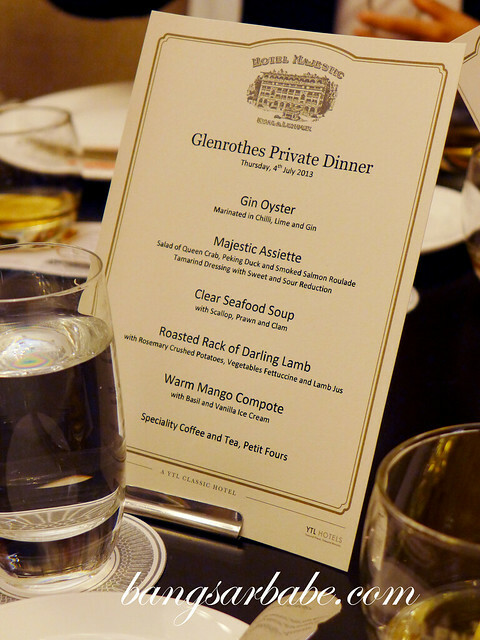 We tried The Glenrothes 1998 and 1995 with Clear Seafood Soup. 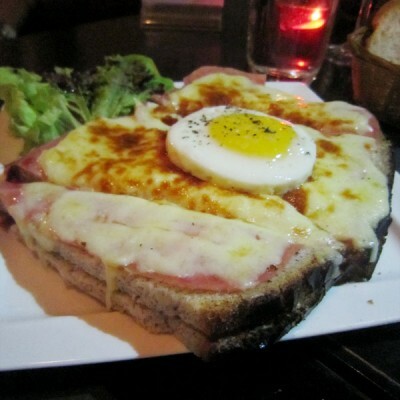 This had mixed preference among the people at the table. Both whiskies paired well with this, but I preferred the 1995. 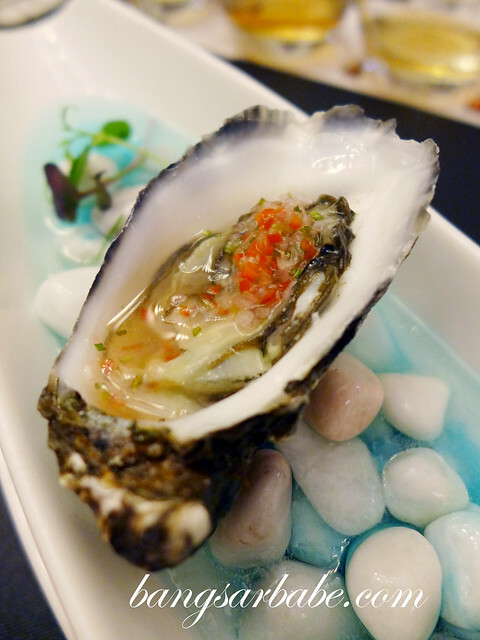 It brought out the sweetness of the seafood better. When applied onto my hand, the scent reminded me of hawflakes – and that was the first thing I blurted out loud. That aside, this was fruity with a strong citrus scent and spicy finish. Fairly easy drinking with a strong, suave character. I’m not sure about you but I like associating whiskies with character. 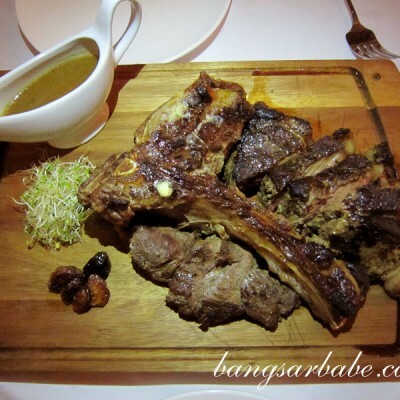 The Glenrothes 1988 was consumed with the roasted rack of lamb because of its spicy aftertaste and full-bodied flavour. While the lamb didn’t knock my socks off, the whisky paired nicely with it. I continued on with this whisky, long after I finished my lamb. 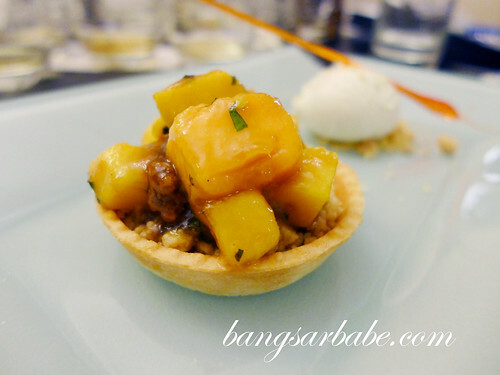 Dessert was a warm mango compote with basil and vanilla ice cream, also paired with the 1988. Ronnie mentioned he also likes pairing whisky with pudding – a combination I have yet to try. 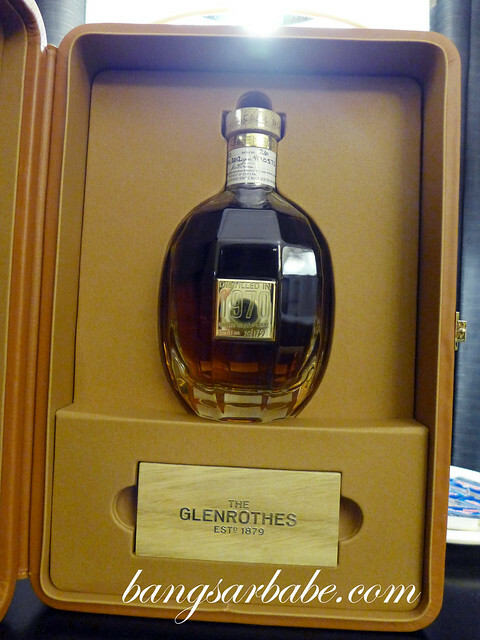 At the corner of the room was a display of The Glenrothes Single Cask 1970 #10573, distilled on July 6, 1970. This particular whisky won two awards – World’s Best Single Malt – Limited Edition and World’s Best Design. Only 10 bottles are available in South East Asia (retailing at RM20,000). For sales enquiries, please contact Asiaeuro Wines & Spirits at 03-78832828. Thank you Sally, for the invite!